Viewers enter an address of their childhood home, and a custom-generated music video is created. 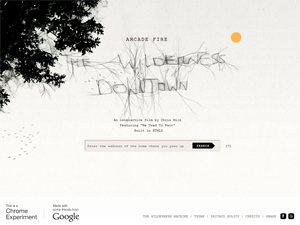 The Wilderness Downtown is an interactive multimedia project, to show off the capabilities of the fifth version of the HTML web standard and the new Google Chrome browser. It was one of three Grand Prix winners at the 2011 Cannes Lions advertising awards in the Cyber Lions category. 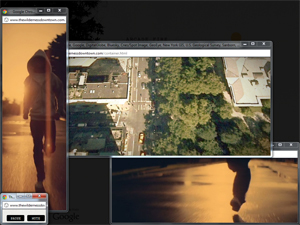 Directed by music video director Chris Milk, it features the “We Used to Wait” song by Arcade Fire, an indie rock Canadian band. Viewers enter an address of their childhood home, and a custom-generated music video is created featuring images of their childhood home and neighborhood, pulled from Google Maps and Street View, creating a unique, emotional experience. 3D first person shooter with dinosaurs. 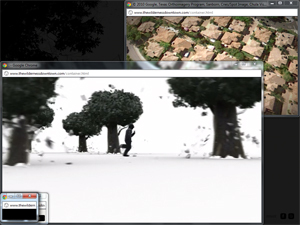 An interactive demonstration of the Unreal Engine 3 (UE3), which was ported to the Adobe Flash platform. Play a fun Pong clone against the computer or your friend with webcam support.